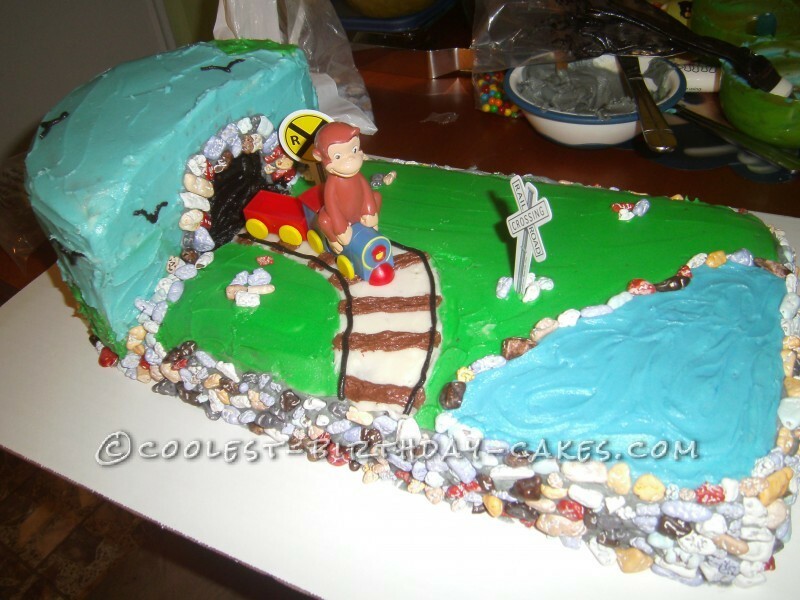 My son’s birthday theme was Curious George and I wanted to do a special cake. He also loves trains so I got the Curious George train kit. I baked a 9×13 chocolate cake, with two 8″ round cakes. I cut the round 8′ cakes in half and stacked three of the halves together with homemade butter-cream in between. I did a simple white crumb coat and let it be overnight in the refrigerator. 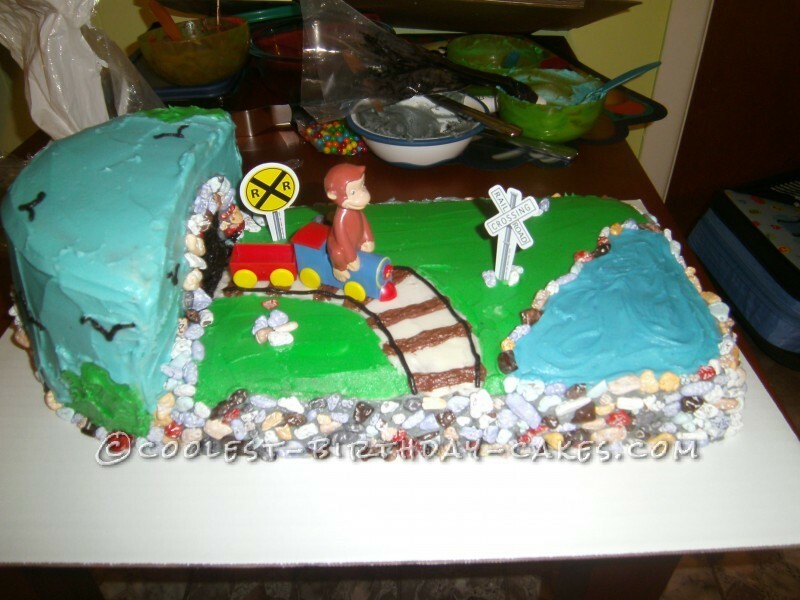 The following day I covered the cake in colored butter cream and made outlines of simple things such as trees, lakes, and the tunnel along with the railroad track. I let it set. 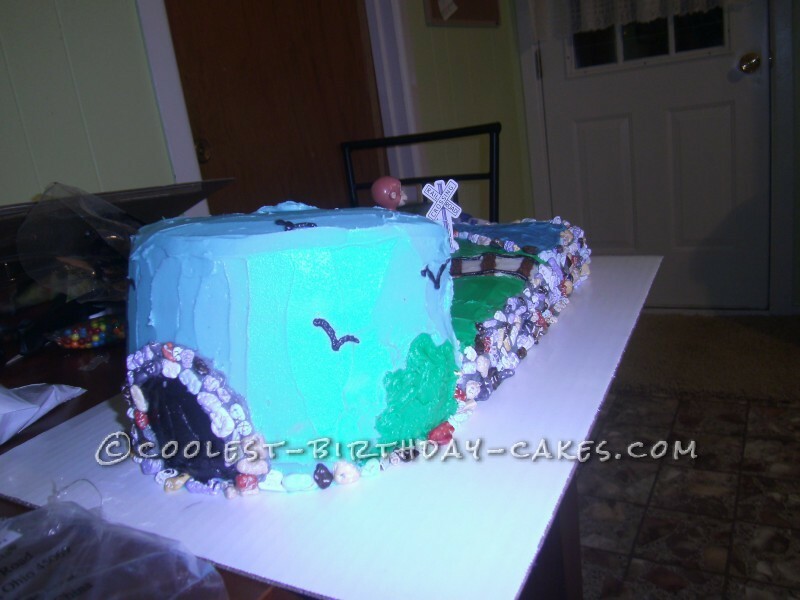 On the third day, the day before the birthday party, I added the layer of butter cream gray around the cake and tunnel outline and placed chocolate rock candy as a decoration. 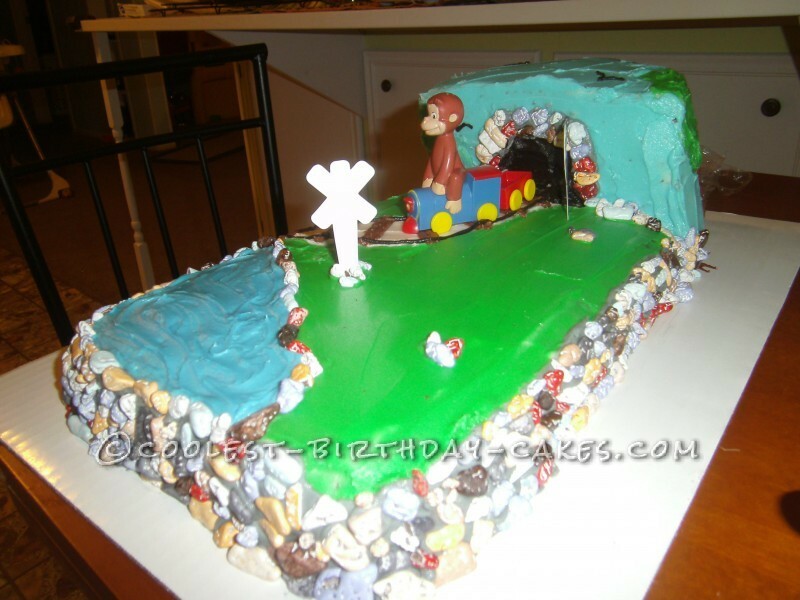 I placed Curious George on the railroad track, and finished it off with Happy Birthday Benji on top of the tunnel. It was a huge hit, moist light cake with a sweet butter cream to balance it out. Everyone loved it! My two year old was so excited to see it he smashed the middle edge with his fingers before the birthday song began!